Richard Huntington, Director of Strategy at Saatchi & Saatchi. Agencies always want to work for the Dream Client, for example Nike or Apple. But perhaps the most interesting thinkers should aim to work with the apparently dull brands, in the boring categories. 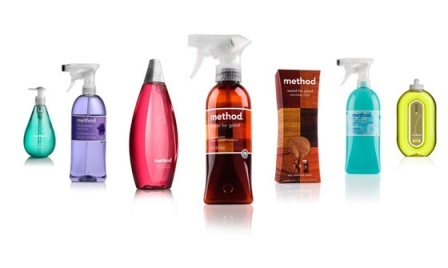 For example, through great design and their founders’ passion for innovation, Method have made cleaning products interesting. My favourite recent example is Volvo Trucks. Unless you are a 5 year old boy, trucks are not the most interesting thing in the world. But Forsman Bodenfors, decided that trucks can be interesting. They created a series of epic test videos, which famously culminated in Jean-Claude Van Damme’s Epic Split video that you must be one of the 60 million people to have seen by now. But this wasn’t just a lucky one-off. Volvo and their agency have shown the ability to generate interest with a series of great videos, for example this chase sequence is well worth a watch. Many people have watched these videos that will never buy a Volvo truck, of course. But if you are a truck buyer, I will bet that you have watched every one of these Volvo videos and shared the videos with all of your truck-buying buddies. So, no more excuses that it’s merely a “low-interest brands”. My New Year’s Resolution is to make the dull more interesting.